I have gleefully painted windows for a couple of decades. Learn about my technique and decorate your windows this holiday season! Window Paintings For Valentine's Day? Are you the type of person who goes all out for Valentine's Day? 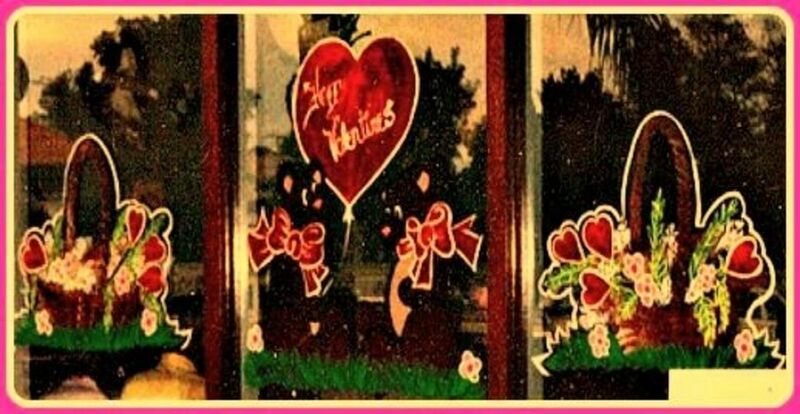 A personalized window painting would be a great addition to your Valentine's Day festivities! Paint a cute design with a greeting tailor made for your sweetie. Holiday window paintings aren't just for Christmas. Window paintings can be applied to any occasion. 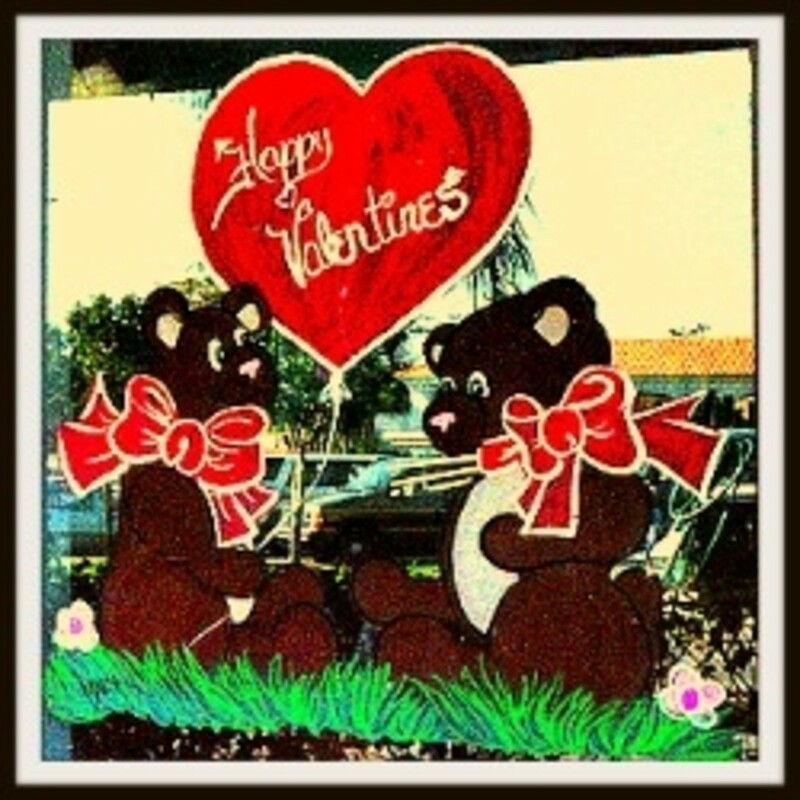 Valentine's Day has many cute images to use for window painting designs. Included in this lens are templates for the teddy bear basic design and a template for a painted, woven basket to help you get started. The basket weave is also described for your use. 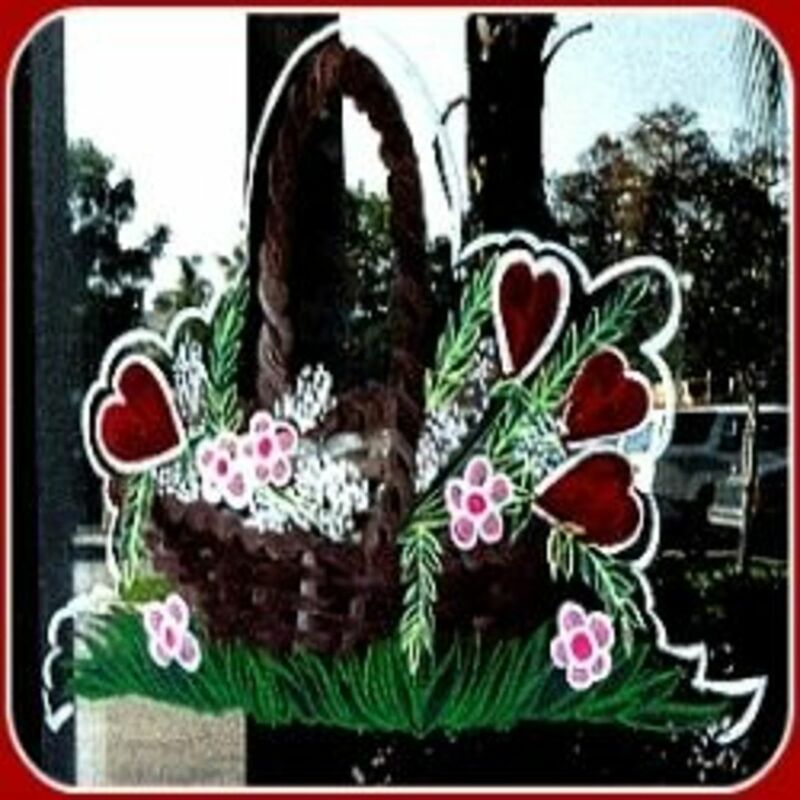 Although the basket is decorated for Valentine's Day here it may also be used as a nifty Easter Basket design and filled with chicks, eggs, and spring flowers. 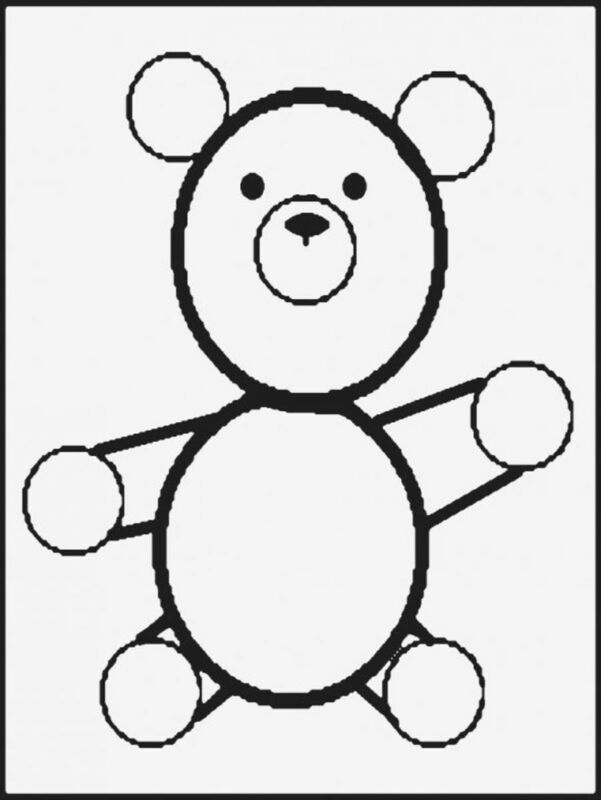 Print the the templates for use as a guide for designing your teddy bear and basket ideas! These unique art paintings are just large greeting cards. What better way to express your feelings on Valentine's Day than a personalized hand painted or drawn greeting? You can use these tips to do a Valentine's Day card on paper, too. Oh, and wash the windows first! This is such an old picture but I wanted you to see the whole design! To learn how to paint images like these see the lens, So, you want to paint holiday windows? right here on Squidoo! 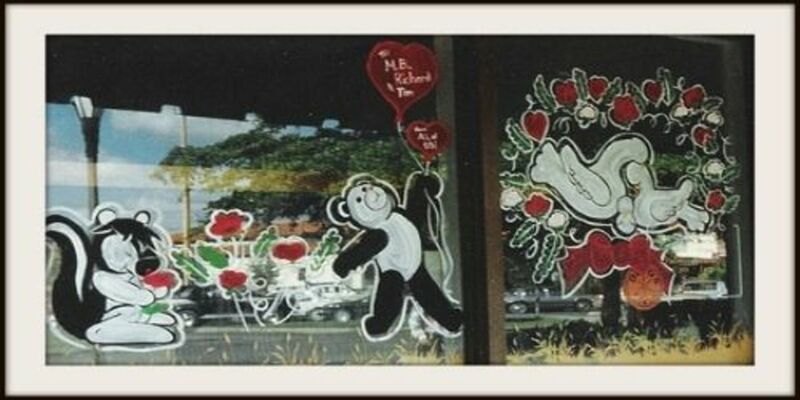 This Valentine's Day window painting theme was painted on a pizza parlor window back in 1989. The combined images of bears and baskets with flowers and hearts were really fun to do. I started with the basket shapes and then filled them in using brown paint. 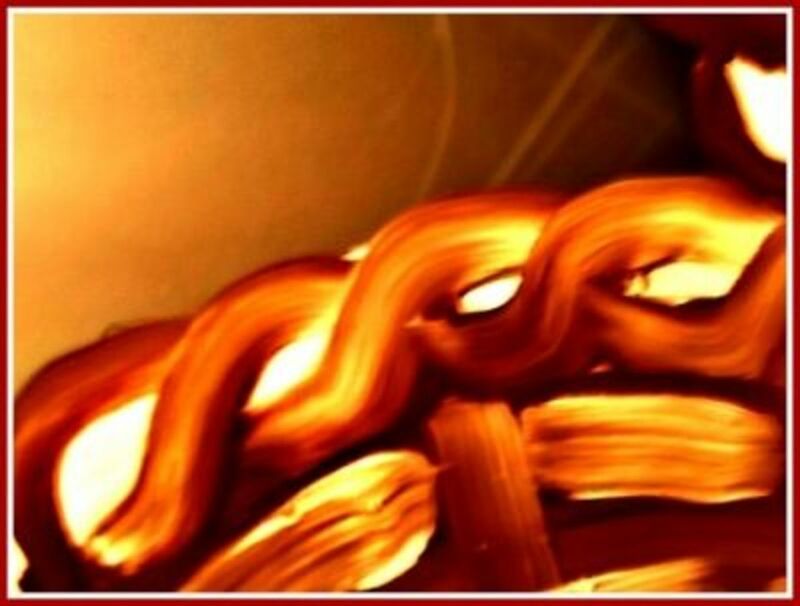 The stuttered basket weave texture is just a paint stroke with an alternating pattern. These are very fun to do. The bears and the baskets both started with a series of circles. This teddy bear circle template will give you an idea of how to lay out a bear shape for painting on a window. Large circles are the main part of the body and head. The arms and legs are just smaller circles and you may decorate the interior and the face any way you like. If you are ok with doing a face on your own, just add a smile under the small circle on the face. On the top middle paint a small oval and fill it in for the nose. Use two large black circles to do the eyes or just do eye lashes with the eyes closed. The paws can be done with additional circles. Fill in the lighter colors first when you paint your bear in. This pattern may be used for teddy or panda bear designs. 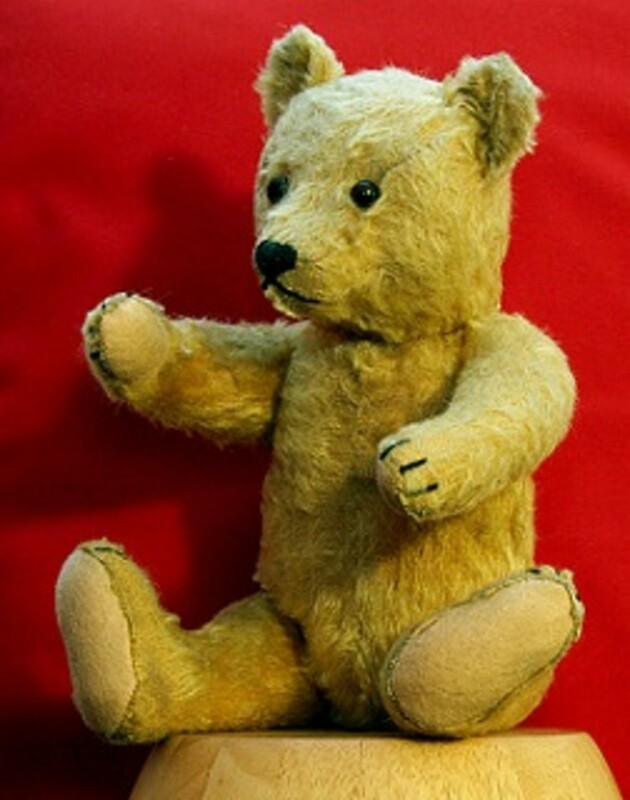 To change the position of the bear simply move the circles around and draw lines between the circles where you want the arms and legs. 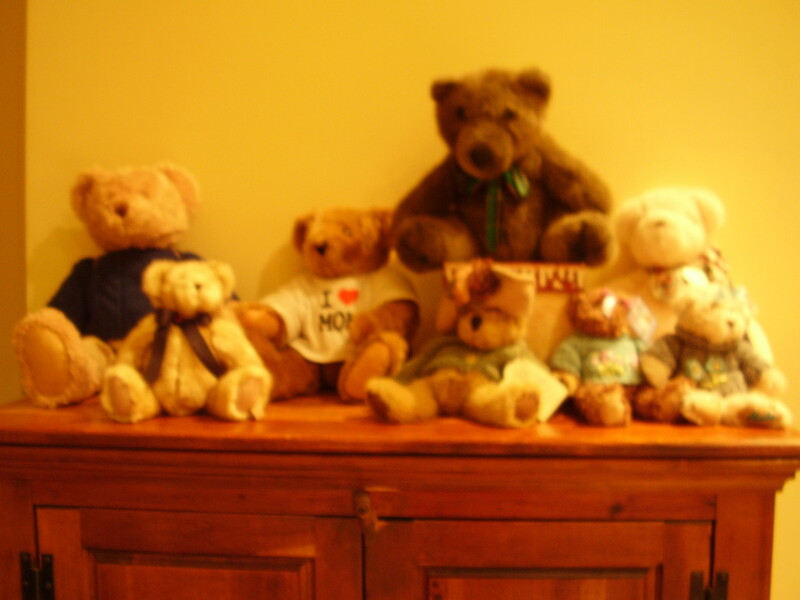 The teddy bears below will give you an idea of how to position your bears. Honey Love has one of the sweetest faces. This is definitely a bear I would love to have pose for a painting! 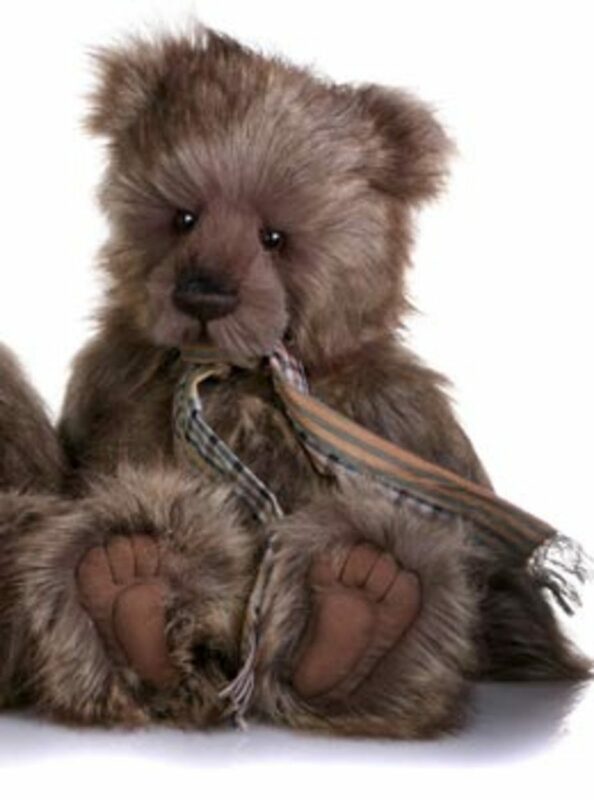 Teddy Bears make great gifts whether painted or in stuffed, plush little companions. The cute bears below would make great paintings, but alas the paintings on windows are temporary. Add one of these adorable Teddy Bears to your painted greeting card and your sweetheart will have a keepsake to remember the window greeting! Teddy bears aren't the only cute, cuddly bears for painting or gifting on Valentine's Day. Panda bears make wonderful gifts and images, too! These sassy little black and white bears are adorable! Use the template for the bear to do this sweet panda by extending the circles where the paws are away from the body a bit. By raising the hand paws to above the bears head, you have the balloon paw. Adding details as you see fit for your panda design. Details only have to be basic on a window painted character. It is basically a cartoon image and a simple color fill. The panda bears below show some good ideas on what details you might want to use. Give your sweetheart a giant panda so they can still get your hug when you aren't there! Great conversation piece or decoration for a bedroom or play area in a child's room. These rascally Panda Bears are fun toys and great cuddly gifts. If you have a special someone that is fond of animals this is sure to be wonderfully received. 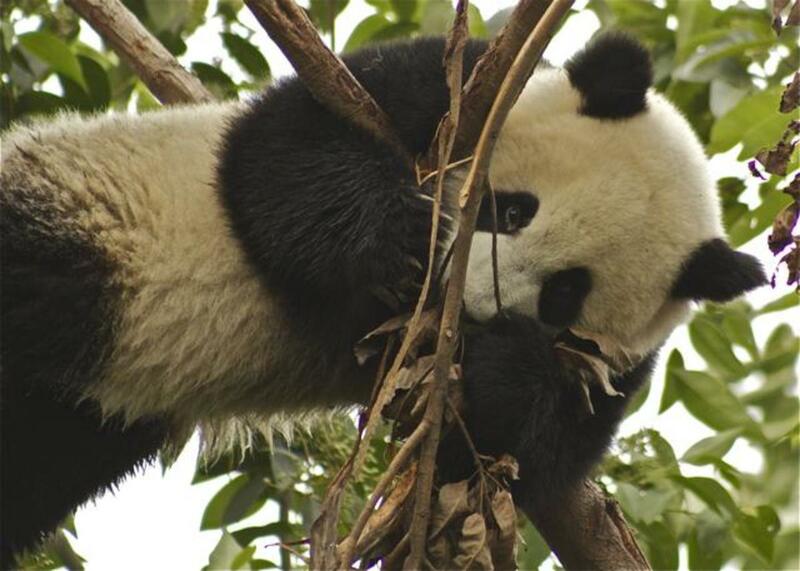 I love the stark black and white color of a Panda's fur coat. These fuzzy creatures will definitely melt your gift recipient's heart! A basket painting starts out with two oval shaped circles and a few lines. 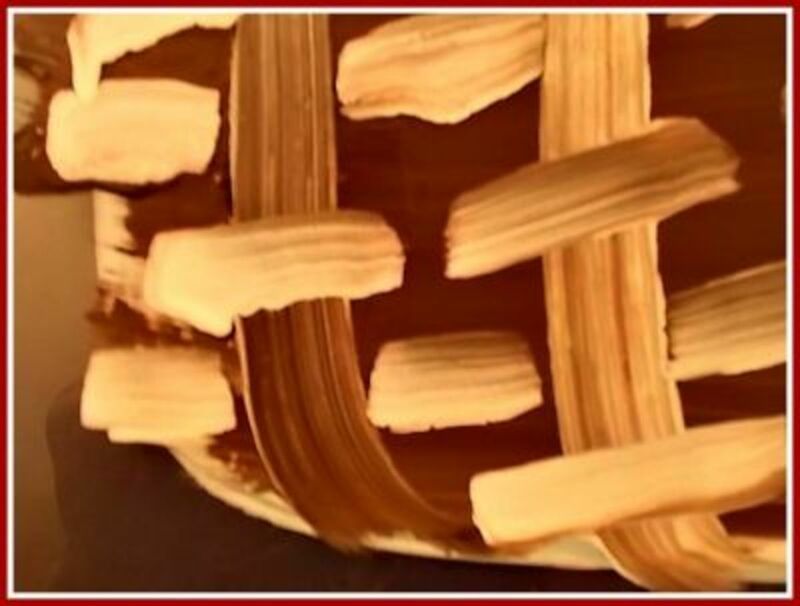 In alternating paint strokes across vertical lines the basket weave is created. 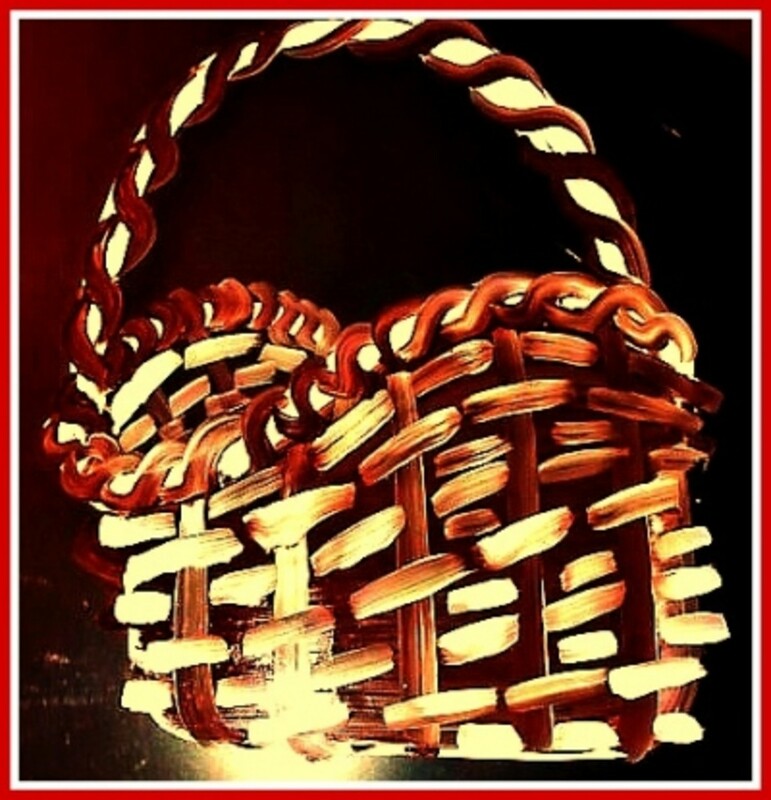 This basket is a great decoration image for Valentine's day and Easter, too. Adjust the height of the basket by making the bed of the basket longer. This template is a basic guide. I left in the complete outline of the two circles so you could see how to apply them when you draw them out. 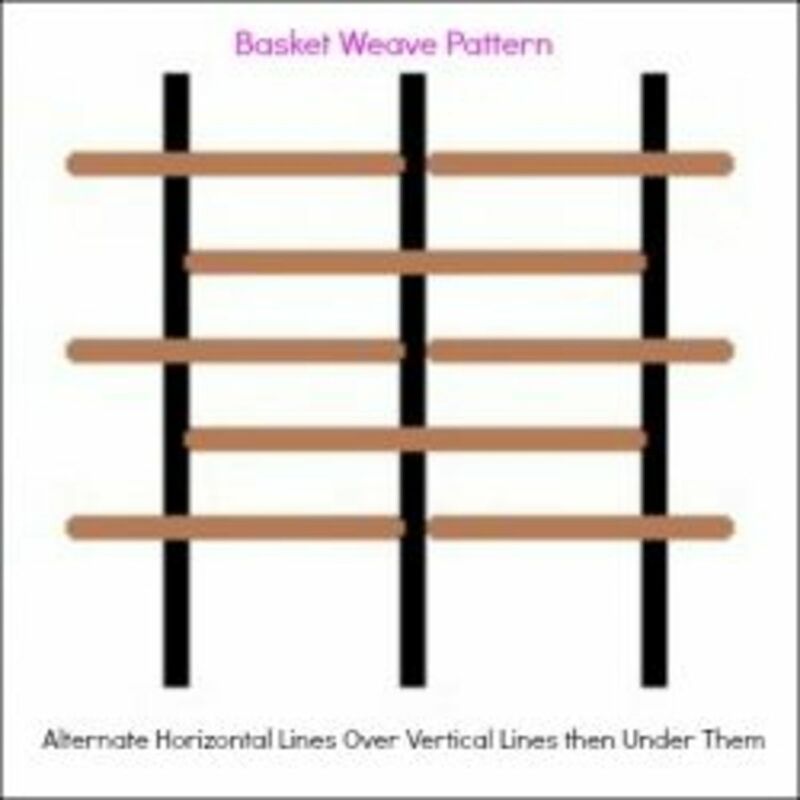 Stripe the sides of the basket joined at the bottom and alternate the weave horizontally throughout the body of the basket. The basket painted above features flowers and heart decorations. For use as an Easter Basket, drop a few eggs in painted and decorated in pastel colors. Fit a few tulips in and maybe a bunny or a couple of cutie duckies or chicks. Don't forget the green grass! Fill it in with your imaginative choices! The painted basket is woven just like a real basket would be. Using the vertical lines drawn from the basket bed alternate paint strokes over and under the lines. As you fill in the basket your field will grow smaller. 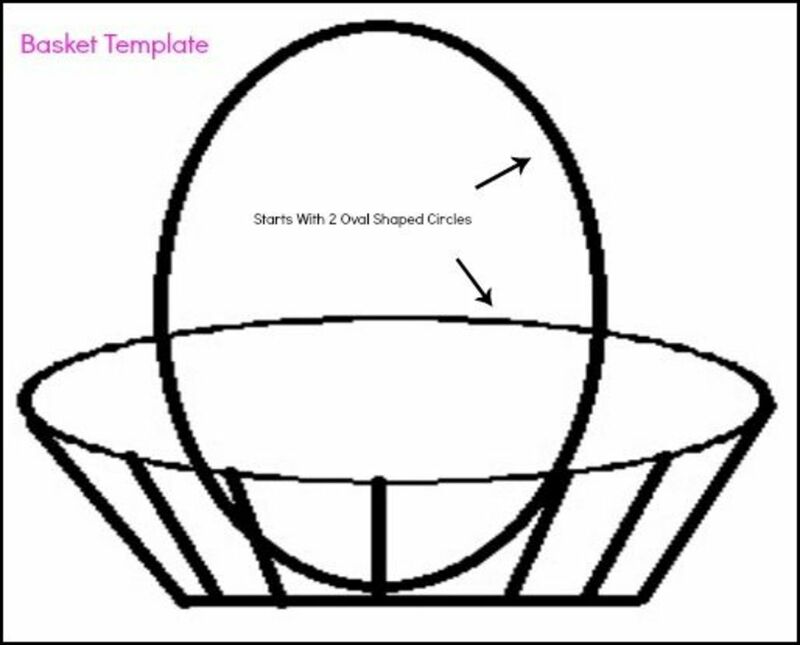 Add small strokes on the sides of the basket to continue the design until you have filled it in completely. A simple dash on the edges where the lines run out is ok. It will give it a finished look. For the handle and the top edge of the basket body, use an "S" line like you would for cake decorating. The "S" shaped wave makes a great finishing edge. 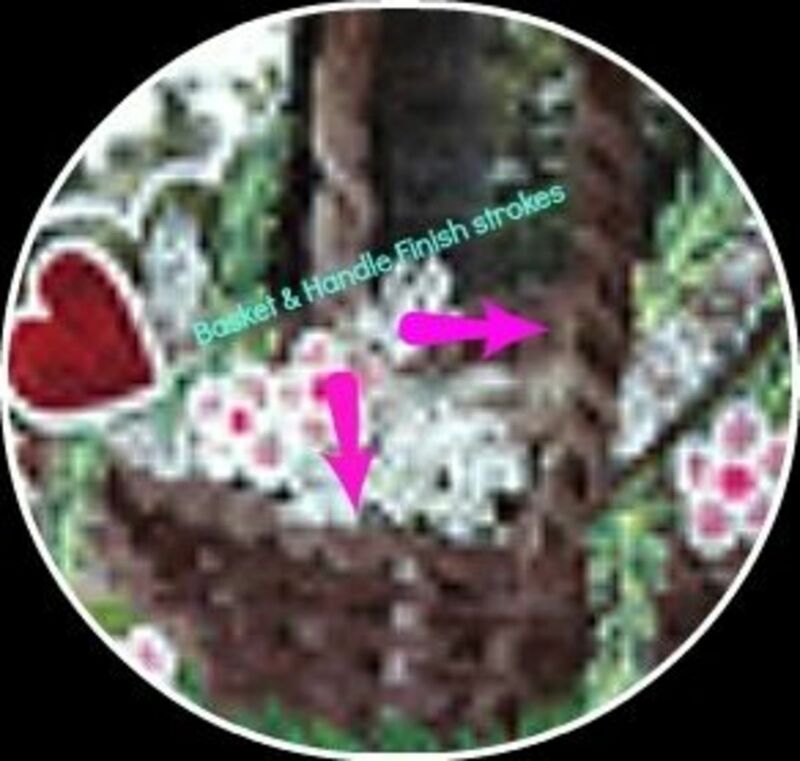 (sorry this pic isn't very clear but you get the basic idea) What you can see here is the base of the basket is painted in a darker tone than the woven section. Doing a dark layer first helps a lighter color jump out from the basket design. For use as an Easter Basket decoration paint it in white or a pastel color. 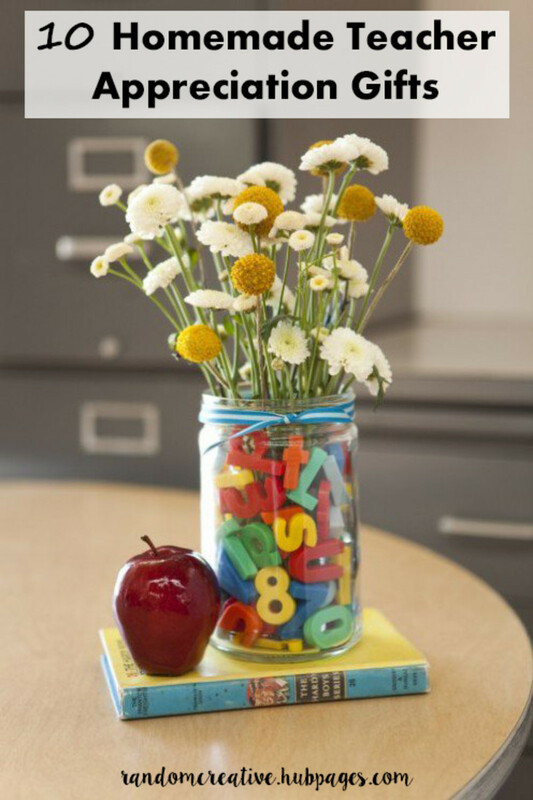 Things that represent spring can be used to fill the interior. Peeps marshmallow candy in pink, orange, or yellow could be placed inside with flowers, grass, and eggs. Baskets are fun to paint for Thanksgiving, too! They can be placed in a window space that needs a large image but no lettering or focal point and filled with Fall veggies, squash, and grain stalks. Valentine's Day images are predominantly reds, pinks, black, and white. The supplies you will need for this project are listed below. I prefer tempera paint as they are easy to use and they dry fast. They are non-toxic and clean up is super easy! A few paint brushes and a stabilo pencil will have you painting your greeting quickly! What would you put in a Valentine's Day Gift Basket? This Guy Is A Little Stinker! 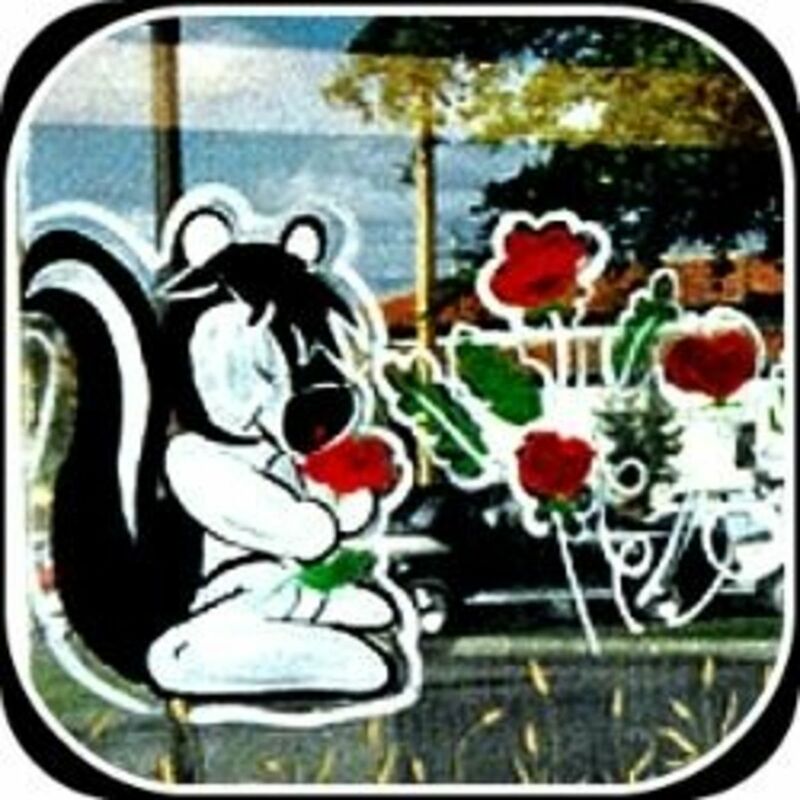 The skunk in this Valentine's Day painting is designed similar to the teddy bear. Use a few triangles in the skunk design to accent his tail and the fur on the top of his head. The body is basically the same. Skunks are little stinkers. But you don't have to be with the gift of a great fragrance or a cute design with a skunk in it! 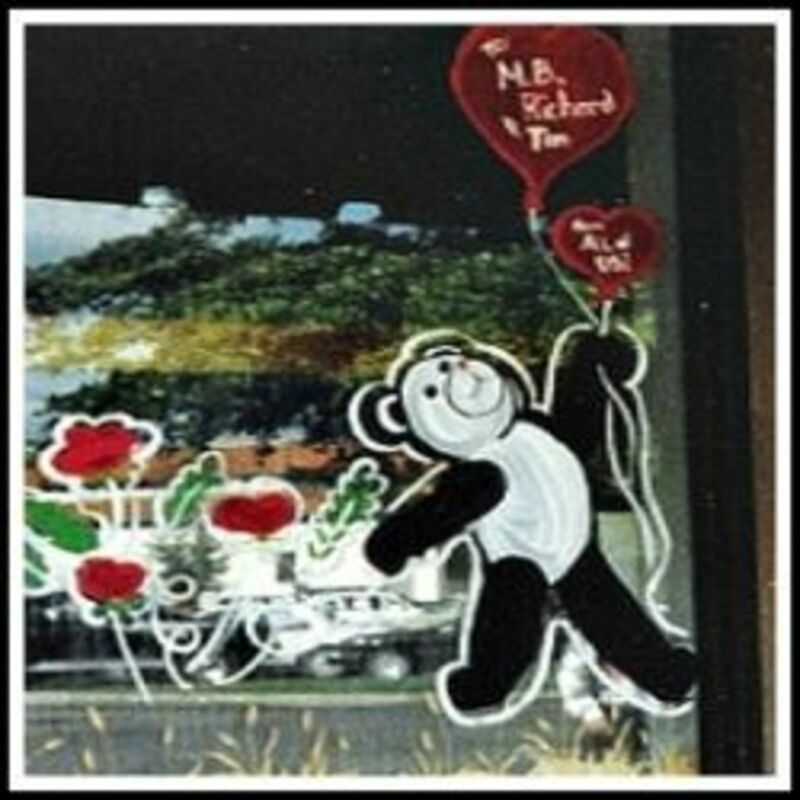 Thank you for checking out Valentine's Day Gifts and Window Paintings! great lens, but you may want to replace some low resolution images with a higher one. it would be perfect! Thank you for a beautiful (and very inspiring) lens. @BenJacklin LM: =) Let me know how it turns out! Thanks for commenting! @anonymous: Thanks for the visit and comment, Dave! Much Appreciated! I've never heard of painting window for Valentine's Day. What a great idea! Much more meaningful and special than just a card. Happy to see that this lens received LotD. Well done! Will be buying something from your lens very soon for my wife...What do you know, men do look at stuff like this wow...is there something wrong with me or what? Enjoy the commission, maybe one day i can say the same. @Kathleen Hiler: I bet it was a lot of fun! Thanks for visiting! @Michey LM: Thanks for your visit, comment, and blessing Michey! -- Flattered! @mrknowitall54321: Thanks for stopping by! @Starzz30: I am glad you liked it! And thanks for visiting! 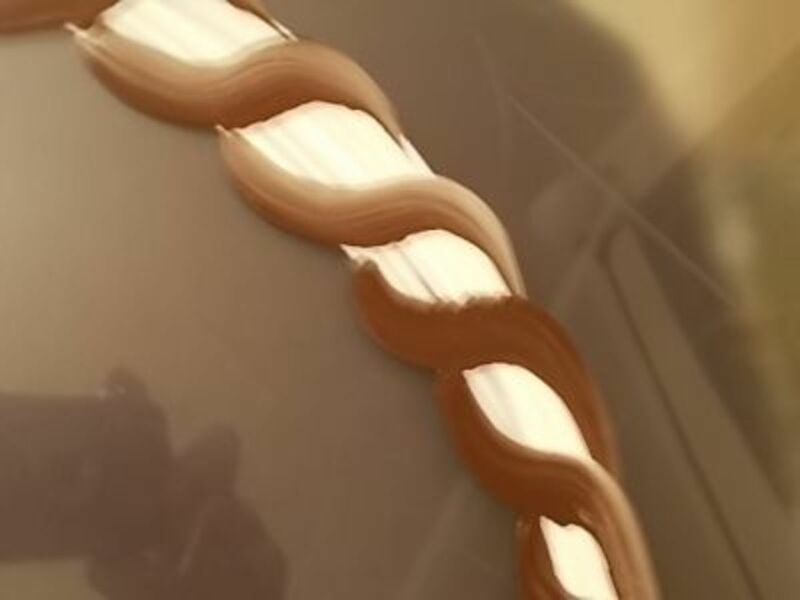 @HalloweenRecipes: Hey, that's neat. I am going to have to look up glass wax. Thanks for your comment! @abcoutletshop lm: Thank you! I think it's perfectly ok for you to have a sensitive side! Very Cute! We used to do something like this with Glass Wax when my kids were young. Congrats on LoTD. Congrats on Lens of the Day! Adorable lens! Congrats on LotD! I really like the window paintings. Great Valentine's Day idea. Congratulations on getting LotD! Great idea, I never knew that there was such a thing as a window painting. Great ideas, well presented. Well deserved LOTD. Angel Blessings!. This lens was a pleasure to view with your perfect suggestions. Congratulations on LOTD! This is a wonderful lense. Congratulations on LotD! Happy Valentine's Day! Great lens! Congrats on LOTD. I so admire window paintings, thanks for showing us how to do it! It is popular in the little cities and towns around here. Beautiful. Fun idea for the holiday. Congratulations on LotD. @Ruthi: Thanks so much Ms. Ruthi! What a creative and unique idea for a Valentine's Day "card"! Your examples are adorable! Congratulations on your totally lovable Lens of the Day! @cmadden: Hey, thanks! =) Have a great day! @katiecolette: Thank you! I appreciate you taking the time to comment! @fotolady49 lm: Thank You! I do have some humor behind most of my images. I will be writing about that when I find the pictures! =) Thanks for your visit! Congrats on LOTD! Cute lens, you have some great ideas. Your suggestion is a good one about asking first but it struck me funny about being accused of being a stalker. I could just imagine it being on the evening news. LOL! Your window paintings for Valentine's Day are just as lovely as your Christmas window dressings. Congratulations on Squidoo Lens of the Day! We don't tend to do a lot of decorating on this holiday. Its more of a personal one on one holiday. And a congrats on the LotD. @dewapariana: Thank you! Have a great day! @Jogalog: Thank you! I was knocked over by the news tonite! 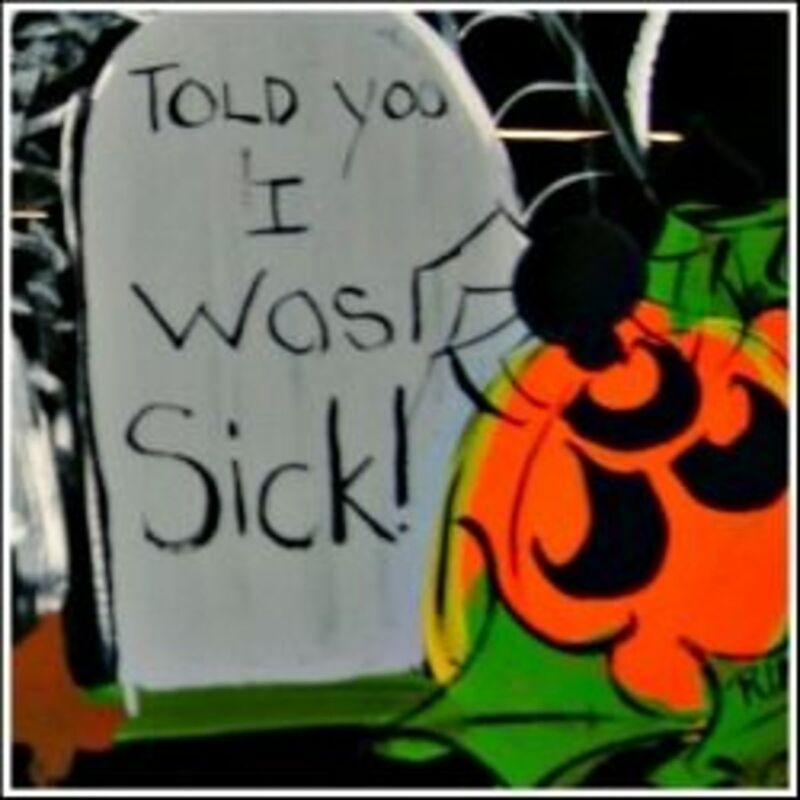 @WriterJanis2: Thanks for your comment Janice! @getmoreinfo: Thanks for your comment! @JenaleeMortensen: I have painted for many different holidays as you will see over the coming months. And yes, it is a lot of fun!! =) Have a great day and thanks for taking time out to comment! @Art Inspired: Thanks for letting me know about it! I was at work when I received the notice for your comment. Wow was I surprised!! I appreciate your participation here! 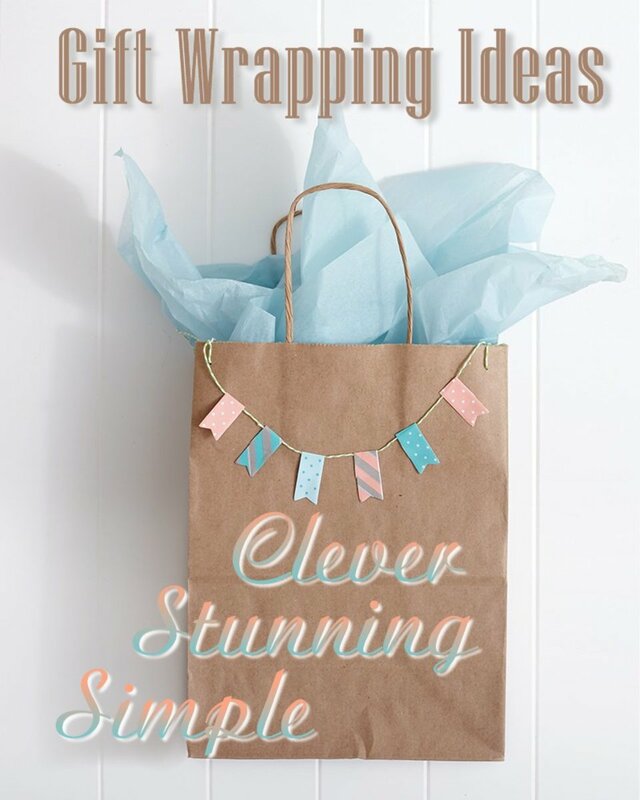 Lots of great ideas here! I really like the panda bear as the main focus for window paintings. I agree with you that they are super cuddly and cute. Congrats on being the lens of the day. Have a great day. I love these Window Paintings For Valentine's ideas, very creative. Hadn't thought about painting a window for Valentine's Day. Sounds like a fun idea. Thanks for sharing. Congrats on your lens of the day! Wonderful lens with wonderful artwork! Make it a creative day!